As the weather gets chillier, we can officially bundle up in cozy and comfy oversized sweater outfits. Sweaters are the most important winter layering clothing in a girl’s arsenal. 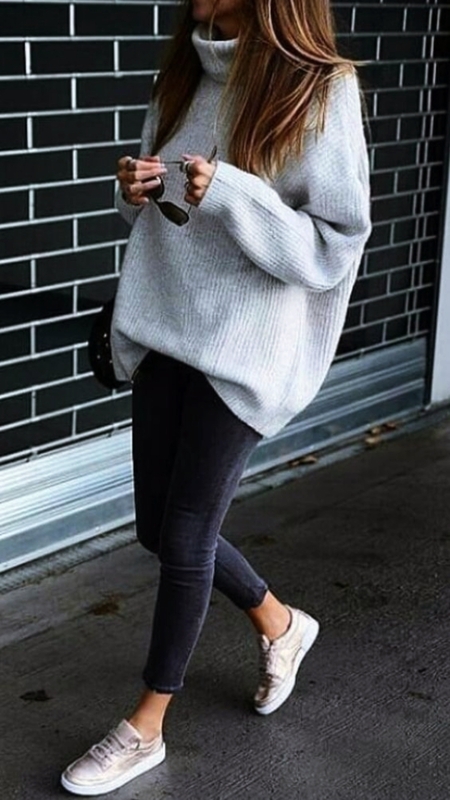 There are so many cool ways to wear oversized sweater outfits for winter, because of its versatility. Though, it has a bad rep for being wacky and bulgy, but when chosen the right sweater silhouette, it is absolutely perfect. 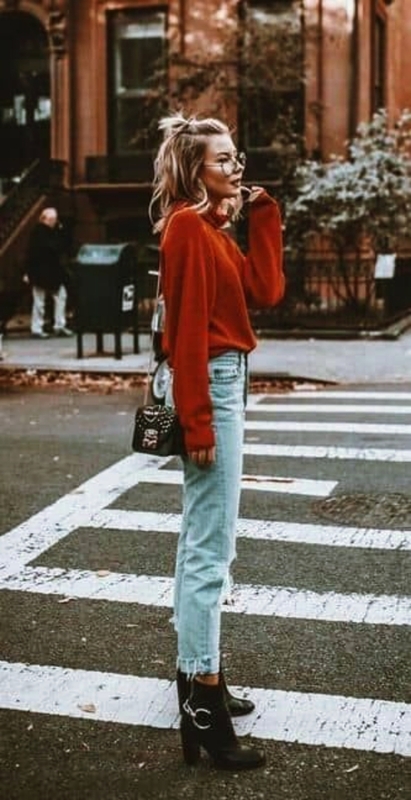 During winters, we often find ourselves reaching out to the oversized sweaters almost daily, because, let’s admit it, it’s super warm and classy! 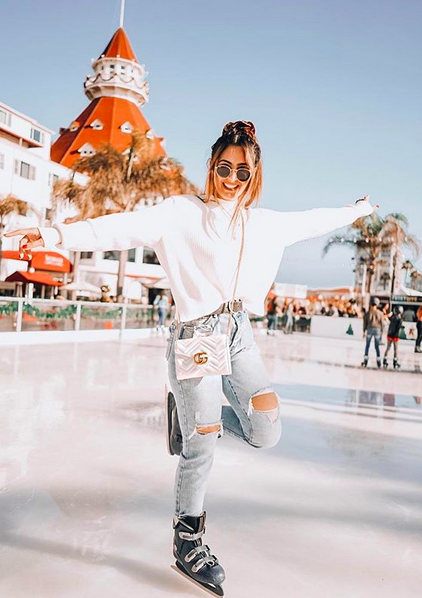 No matter where you want to dress up for, a pair of tights, oxford shoes or practically any outfit and oversized sweater is all you need to put on. Have a ffashion-forward winter with these comfy and classy oversized sweater outfits for winter. Slouchy and sack-like, do not mistake to associate these words with comfy and classy oversized sweater outfits for winter. The cutest combination of all is mini skirt and oversized sweater. Although, a baggy denim jacket outfits are really getting back in trend. 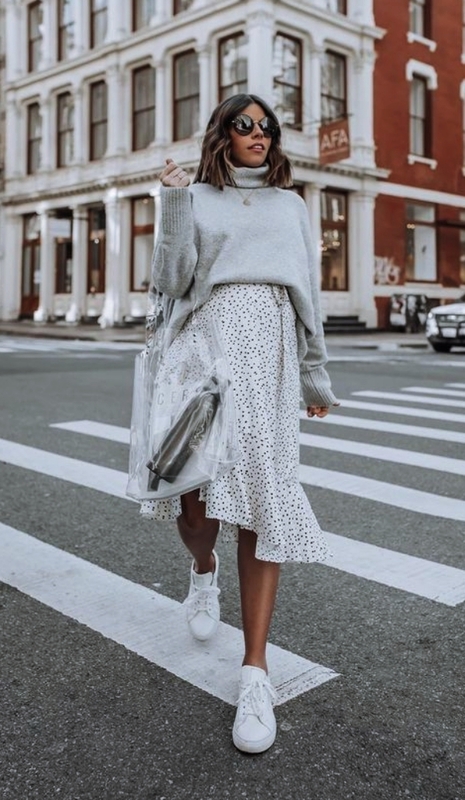 If you want to create a cute casual look, top an oversized sweater with a skater skirt. For a sensual feminine look, wear thigh-high tights or knee-length boots. Flared dress or slip dress make an awesome pair with comfy and classy oversized sweater outfits for winter. This combination is an inseparable outfit for a casual work wear. 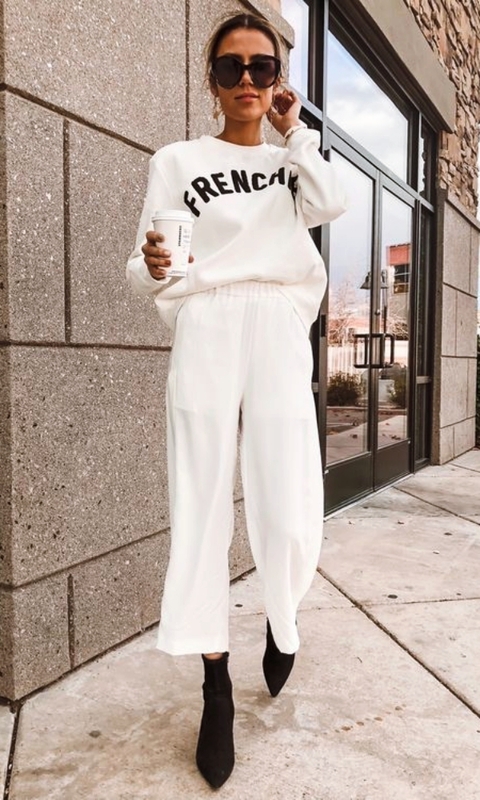 You can pick neutral shades of an oversized sweater like black, cream, white as it goes along with any dress colour or pattern. To avoid the bulky look, balance it with skinny tights. 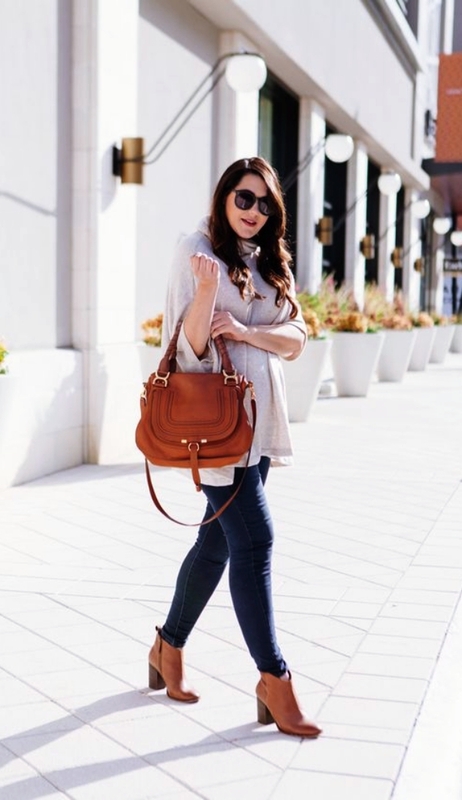 Oversized sweaters can be so apt for curvy women, as it stow away the lower part of the body. 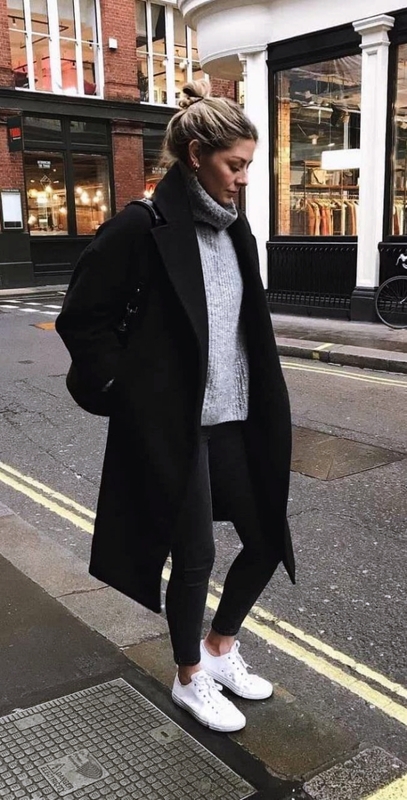 Skinny tights like stockings, jeggings, tight pants perfectly balances and coordinates with the comfy and classy oversized sweater outfits for winter. Another winning look is pairing oversized sweater with leggings. You can totally flaunt this look even at the office and the hot date after work. Legging is a tight clothing piece that will enhance your lower portion of body with oversized sweater. Plus any colour or print sweater can totally kill it with basic black leggings. Trying hair Color trends for winter could be a stunning idea for your stylish look. If hippy and bohemian is your fashion style, oversized sweater with maxi skirt will never be a disappointment. Any colour, pattern, print, embellished oversized sweater can be paired with maxi skirt. Feel free to experiment with the print or monochromatic look. Have a messy side braid to blend with the hippy vibes. The easiest formula for a chic look is pairing jeans with comfy and classy oversized sweater outfits for winter. 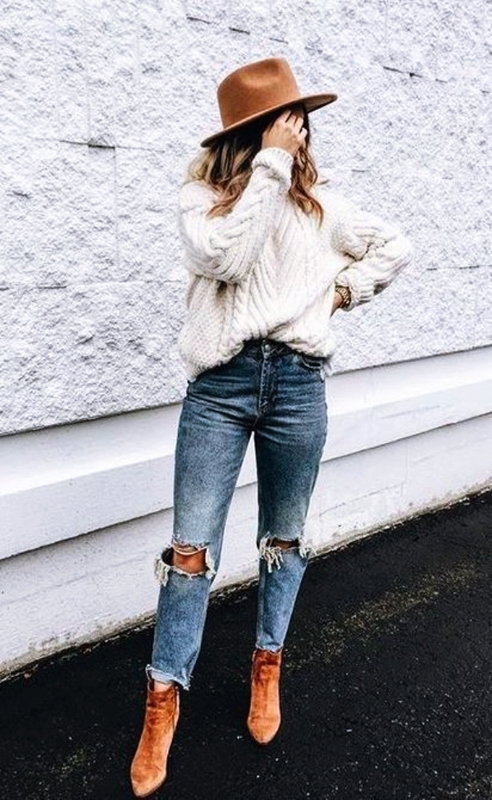 Jeans and oversized sweaters go together like peanut butter and jelly. Very effortless and timeless. Fall or winter, this combination is unbeatable. Wear knee high booties or ankle length boots with such a chic combination. Vacationing during winter? We have got you cozed up. Style an oversized sweater with shorts for a fun, flirty look. For slightly chilly places, this outfit can be a savior. You can go for casual shorts, denim shorts and wear a pair of sunglasses and cool accessories. Are you finding yourself all time wrapped under your comfy and classy oversized sweater? Then, don’t probably get out of it. Of course, winter is an amazing excuse for that. Just make sure the oversized sweater is long enough to cover you appropriately. While stepping out, you can just slip on a tights or knee length boots. Any detail to a chic, stylish outfit is a bonus. Since it’s winter you might want to keep your accessories minimal, but that doesn’t mean no details at all. Maternity could be a plus. A stylish handbag or crossover bag is a classy way to style your outfit. You can also pick oversized sweaters with an embellished collar or any kind of stones on it. 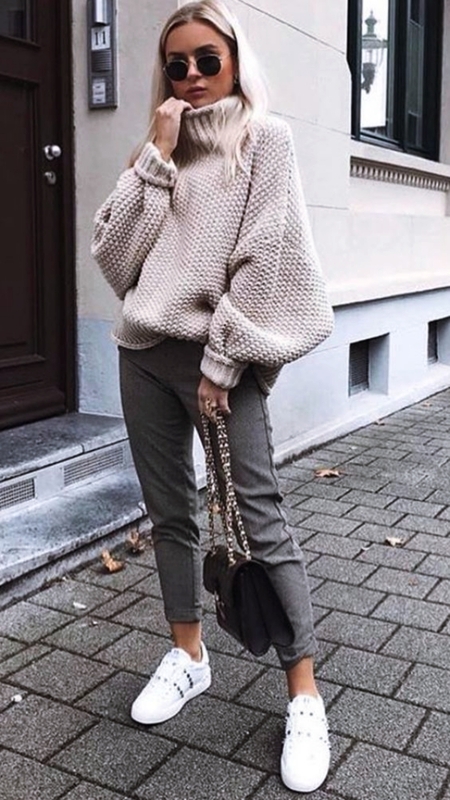 Comfy and classy oversized sweater outfits for winter can create a casual day time office look or a night time party look. 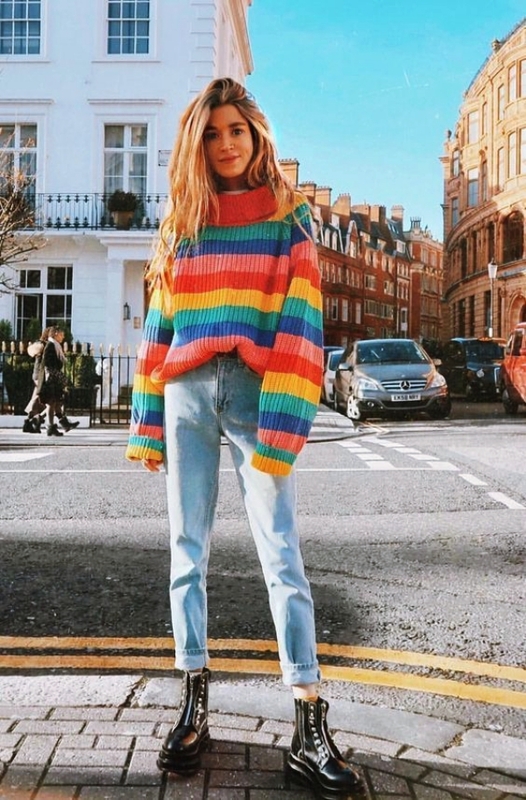 Just remember in your entire outfit, there is only one oversized clothing item – your oversized sweater. This is the secret behind having a winning look. And when you have sneakers in your wardrobe, there are infinite outfits options.